• The urgency and/or importance of the work to clients. We agree, in advance, the work to be carried out, usually in the billing year commencing 1 April, and quote a fixed fee, to be invoiced by one invoice, usually raised in April. Subsequently, any exceptional or new work, not covered by the quote, will be discussed with you and, if considered material, an additional quote will be provided. Quoted fees are dependent upon us receiving all the information we need in good time to meet regulatory time limits and, unless otherwise agreed at the time of the quote, this will tend to mean within three months of the tax or accounting year end e.g. for personal tax returns and 31 March year ends, by 5 July and 30 June respectively. 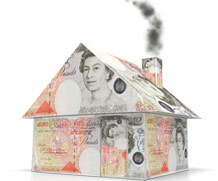 Information received late may result in increases in the quoted fees. Unless queried within 14 days of issue or a standing order arrangement is agreed in advance*, invoices are payable within 14 days and we reserve the right to charge interest at 1% on any sums unpaid more than 30 days from the issue of the invoice. If invoices remain unpaid for more than 60 days from issue we reserve the right to cease or restrict further work in dealing with your affairs. If only part of the invoice is queried then the balance is payable as detailed above. *For long term arrangements, i.e. covering work to be undertaken during periods in excess of three months we will accept payment in 10 instalments. In the majority of cases, i.e. for work to be carried out in the year commencing 1 April, this will result in payments covering the 10 month period April to January. If standing order payments are not made in accordance with agreed terms the balance of fees unpaid becomes payable immediately and will be subject to interest as detailed above. We are happy to provide a standing order mandate for your bank or if you have Internet banking it should be easy to set up the payments to recur automatically.